Specific assessment tools can accelerate trainees’ learning through structured feedback and ensure that trainees attain the knowledge and skills required to practice as competent, independent surgeons (competency-based surgical education). 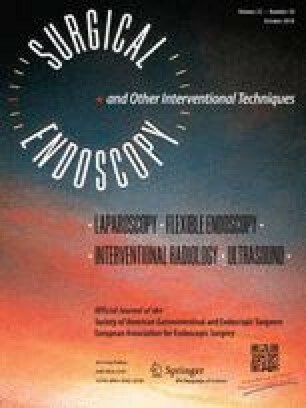 The objective was to develop an assessment tool for video-assisted thoracoscopic surgery (VATS) lobectomy by achieving consensus within an international group of VATS experts. The Delphi method was used as a structured process for collecting and distilling knowledge from a group of internationally recognized VATS experts. Opinions were obtained in an iterative process involving answering repeated rounds of questionnaires. Responses to one round were summarized and integrated into the next round of questionnaires until consensus was reached. Thirty-one VATS experts were included and four Delphi rounds were conducted. The response rate for each round were 68.9% (31/45), 100% (31/31), 96.8% (30/31), and 93.3% (28/30) for the final round where consensus was reached. The first Delphi round contained 44 items and the final VATS lobectomy Assessment Tool (VATSAT) comprised eight items with rating anchors: (1) localization of tumor and other pathological tissue, (2) dissection of the hilum and veins, (3) dissection of the arteries, (4) dissection of the bronchus, (5) dissection of lymph nodes, (6) retrieval of lobe in bag, (7) respect for tissue and structures, and (8) technical skills in general. A novel and dedicated assessment tool for VATS lobectomy was developed based on VATS experts’ consensus. The VATSAT can support the learning of VATS lobectomy by providing structured feedback and help supervisors make the important decision of when trainees have acquired VATS lobectomy competencies for independent performance. VATS lobectomy experts were kindly asked to participate as part of the expert panel, and could decline at any phase in the study. At any time, participants could withdraw their consent for participation and their data would be deleted. All data were kept strictly confidential. The questionnaires from each expert were not discussed with colleagues or other individuals. The experts were told that the answers they gave in the questionnaires were anonymous for all except the main author who was handling the data via email and Survey Monkey, but that they would be acknowledged by name in the published paper if they wished to. VATS lobectomy assessment tool expert panel: Baste JM, Bodner J, Cao C, Casali G, D’amico T, De Ryck F, Decaluwe HMA, Decker G, Dunning J, Gossot D, Kohno T, Leschber G, Liptay MJ, Loscertales J, McKenna RJ, Mitchell JD, Oosterhuis JW, Piwkowski CT, Schmid T, Schneiter D, Shackcloth M, Siebenga J, Sihoe A, Sokolow Y, Solaini L, Wright GM, Yan TD. The salary of Katrine Jensen was partly funded by a grant from The Danish Cancer Society (Kræftens Bekæmpelse, Denmark). Henrik Jessen Hansen and René Horsleben Petersen are at the speaker’s bureau for Covidien. Jesper Holst Pedersen, William Walker, and Lars Konge have no conflicts of interest or financial ties to disclose. No samples from humans were used in the study and no drugs were administered; hence, this study needed no approval from The Danish National Committee on Biomedical Research Ethics.